Our lives have become much predictable and our everyday living has failed to bring out the essence of life that always evokes a sense of awed wonder, yearning for the mysteries to be resolved, no matter how dangerous a mission might seem. In our remotest of imaginations we contemplate life as something worth recording, something that holds our suspense or let loose a barrage of epiphanies. 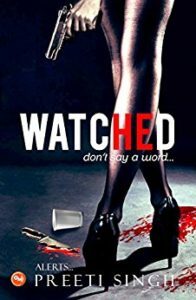 Hence a literary work might be something that may effortlessly let ourselves immerse in a thought process, concurrently questioning how an apparently bland atmosphere can have a tinge of mystery too, as shown in Preeti Singh’s thriller Watched. Now, let us ask why people love reading thrillers when they have such a common theme as serial killings, murder mysteries to be resolved? People usually end up liking them because they excite a thrilling sensation in them. Things with clarity have a soothing appeal to senses, on the other hand ambiguity excites them. Reading thriller is similar to going for an adventurous journey. Watched is a thriller which takes us to such a journey where several twists and turns make readers stick to the book till end. A spree killer intrudes the city of Chandigarh and kills two women; while the DGP calls a young dynamic officer of CBI Kinjal Joshi to solve this case and bring the culprit behind bar. She takes up the charge and manages to get the case solved. This is how we can, to some extent, sum up the story of Watched – a thriller by Preeti Singh. Well most of the thrillers are like that but not all have a beautiful young prominent lady as the hero. 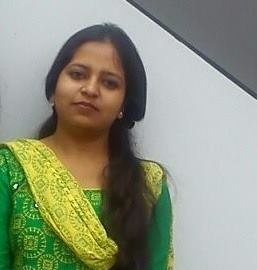 Kinjal Joshi, a woman of beauty and brain on duty; this very idea can alone thrill a reader at the earliest. One can easily assume author to be a little feminist at the first glance but later we find most of the victims as women too. So she keeps it balanced. Thanks to her (the author) for blessing a man to be the killer or she could have endowed a woman with killing skills rejecting man’s existence in her novel. When thrillers are known for violence and cruelty, this book has a comparatively moderate killer. Even though he has killed 5 persons including 4 women and one man, his style of killings is less brutal in nature, a kind of painless or less painful death he offered to all of his victims. Perhaps he seems to be highly inspired by the lines of Selena Gomez’s song “kill them with kindness”. Being a woman author it’s not an easy task to portray brutal killings; however, the author excels with writing romance, she does it amazingly by making a dog love a mouse. Sometimes seeing them as lovers is quite absurd but at the same time they give a dramatic relief as we often see in tragic plays. The novel has a dog agent Amber Singh as a senior officer and a love triangle involving a girl, a dog and a mouse. It is the third novel of the author and her love for animals is never hidden. She treats them as human beings and all of the 3 are incomplete without their presence. The plot is constructed in such a way that once you start reading the novel, it will hold the reader’s curiosity to an extent that would be impossible to surmise what would happen next, who was the traitor? Until the culprit appears in the end, while we have been suspecting each and every male character around. Another important point to mention is that, you may find a pleasure in seeing a woman in unconventional role, a young beautiful lady as a promising CBI officer chasing criminals. Usually thrillers are best known for sensuous scenes, this one avoids being too sensuous but it does not disappoint at all. Alongside the thread of the story, the reader may come across the psychological diffuseness in the individuals and a strong conviction in the concept of Karma, perceptible in her earlier novels too, which adds extra flavour to reading a story gauging our own psychological and emotional involvement in that reality. Archana craves for reading and writing !